Over the years you may have built up, for lack and a better work ‘stuff’. A collection of knick knacks that you want to hold on to, just in case you find a use for it one day. These items will usually end up living in the cupboard under the stairs or the garage. Occasionally we can all do with some extra space and you may have to throw items away to make more room. However sometimes this isn’t necessary and you may just have simply store them more efficiently. A concrete garage may seem like a standard, easy to use element of your home, but by adapting a few small elements it could make storage more efficient and productive. 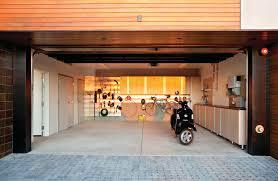 Traditionally concrete garage are used for storing your car and keeping it safe from damage or theft. Even if you do sue if for this purpose there will probably be space left over for storage. For example, the wall space can be invaluable for storage if used properly. You could install a slat wall to hang and organise smaller accessories. Such as hanging boxes or trays to organise your knick knacks in a way that is easy to keep out of the way and have on hand if you need them. Alternatively, if you have a concrete garage with an apex roof then you could be able to use this extra space for storage. Boxes, rails, even a bike rack can fit if your roof has a high enough peak; the space is there for you to use as you wish. If you have a growing family but a home without an attic then this extra space can act as just that and can hold the Christmas tree and all the old photos that you just can’t part with. If you don’t have a garage with an apex roof then, depending on the type of garage door you have, you may be able to use the space above the garage door. With a traditional up and over garage door there will be a gap between the garage door opening and the roof. In this space you could have a shelf fitted for extra storage. However you will only be able to access the shelf from the inside when the door is fully closed. But this isn’t the only place you can have shelving fitted in your concrete garage. The back wall of the garage is ideal for custom shelving that won’t be affected when you put your car away. When it comes to custom storage areas in your concrete garage it is worthwhile spending some time and thinking about what items you want to store. For example, you are a sports or fitness driven household with a large amount of sporting equipment you should consider the accessibility of the items without having to disrupt other areas of the garage. However if all else fails and you simple cannot fit anymore in your garage, it may be time to call it a day and throw some items away. Or if this seems a bit heartless, charities always need donations. Hopefully this advice has helped you thing about new ways to storage your items in your concrete garage.